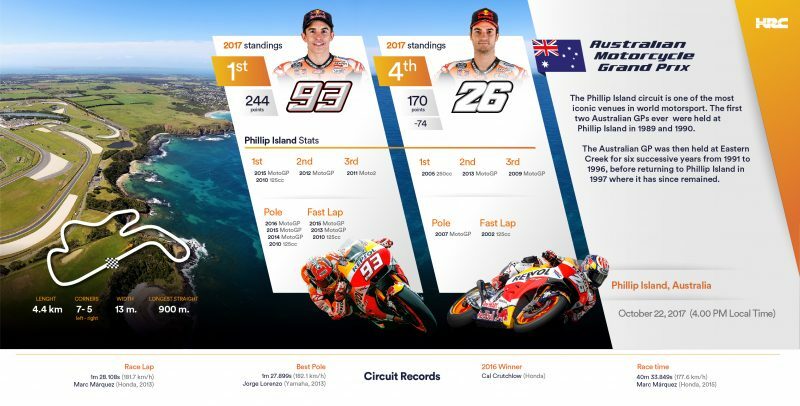 After a brief stop in Indonesia, to visit Astra Honda Factory and to give their support to Cari_Aman Safety Riding Campaign, Marc Marquez and Dani Pedrosa moved on to Phillip Island for the second round of the triple flyaways. 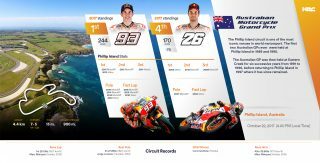 The Repsol Honda Team riders are very motivated for the Australian Grand Prix. 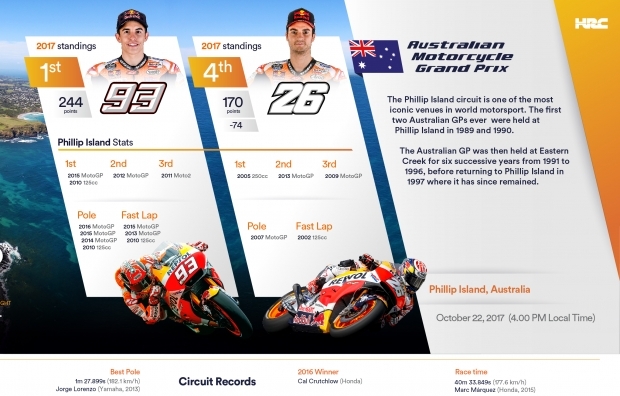 Marc, who counts Phillip Island among his favourite tracks, is fresh off of scoring the 100th podium finish of his amazing career, after an exciting battle with Title contender Andrea Dovizioso at Motegi. Dani comes into the event aiming to recover from a tough race in Japan. 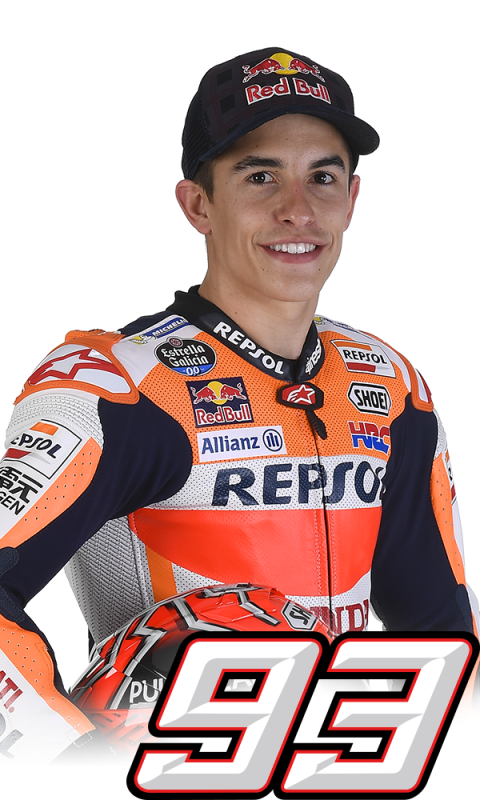 With three rounds remaining, the 24-year-old Marquez has an 11-point advantage over the Italian Dovizioso in the Championship standings. 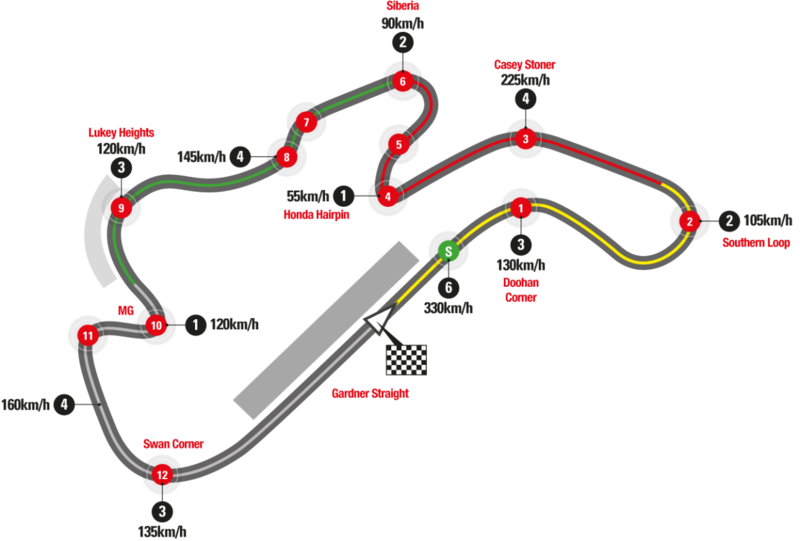 Marc Marquez has 2 wins—1×125 (2010) and 1xMotoGP (2015)—plus 2 podiums and 4 pole positions. 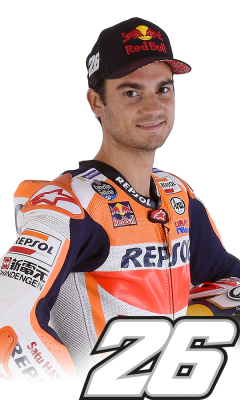 Dani Pedrosa has 1 win in 250 (2005), plus an additional 2 podiums and 1 pole position.